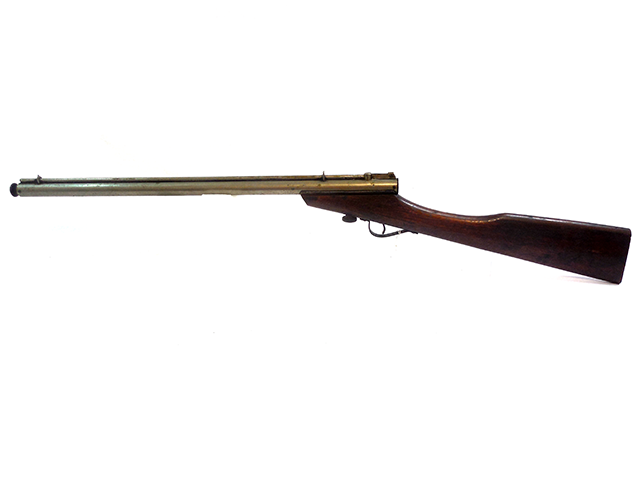 The Benjamin Model F is a muzzle loading, multi-pump pneumatic BB gun, with a rod at the muzzle. 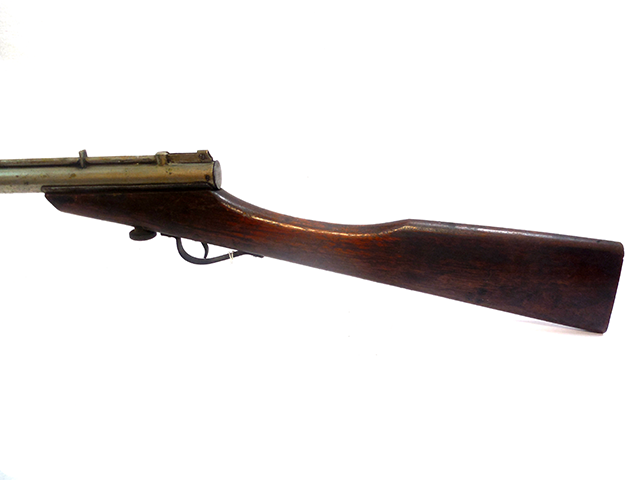 These guns were manufactured between 1910, and 1935. 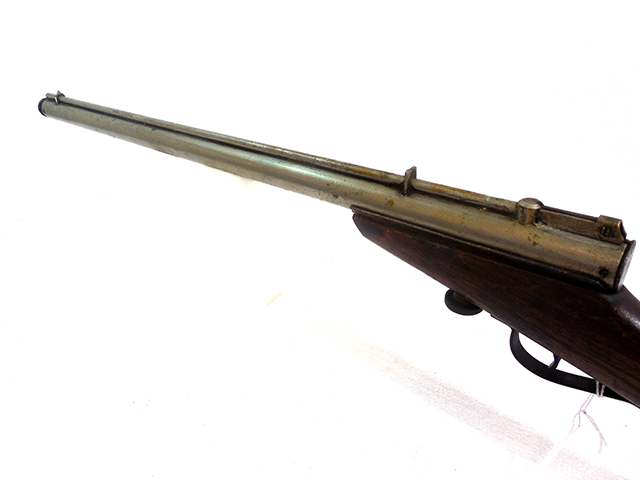 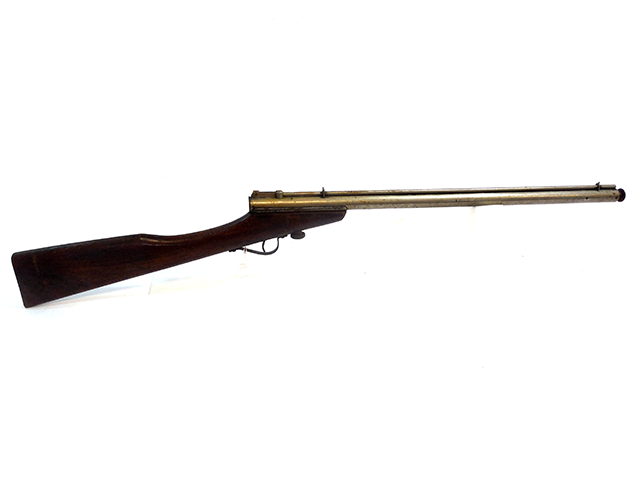 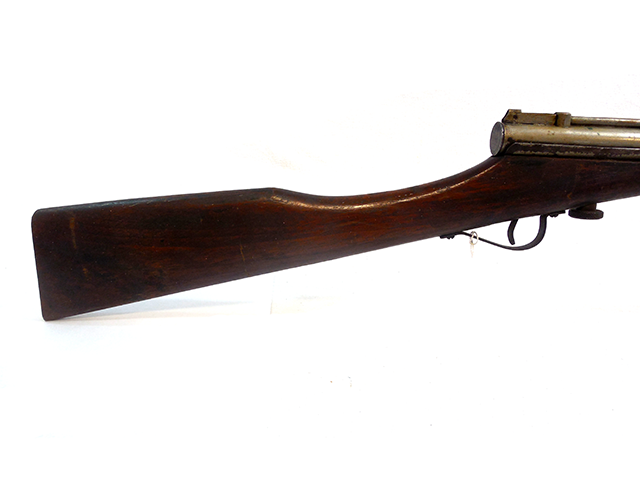 The walnut stock retains about 90% of the finish, but probably not original. 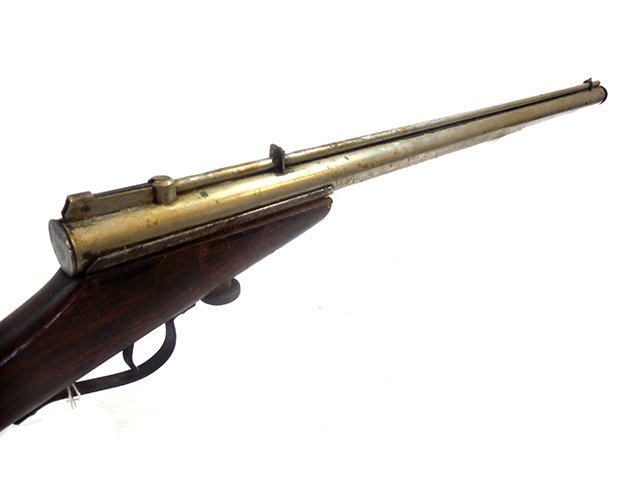 The metal still retains about 80% of the original finish.